Cut Grappel Westtech Woodcracker CS 780 Year of manufacture: 2017 – new! 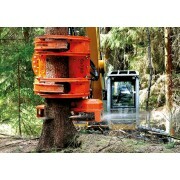 Operating hours: 5 h. Operating weight excavators: 20 – 28t. Double gripper Maximum gripper opening: 2 x 1.600 mm Tiltator endlessly rotatable: Grease 0625 Автоматическая смазка Тильтатора..